A world filled with chatter and chaos needs the simplicity of wisdom, not convoluted rhetoric espoused by the elite or triviality by the uninformed. In My Tweets to You, the reader gains knowledge through concise yet provocative tweets to grip their realities and prompt them to repair those things which are broken. Whether you are standing at the highest peak of success or you have fallen to an unspeakable low, you must realize that change is difficult no matter where you stand. However, what is seemingly impossible through the limited vision of humanity is the preferred canvas for God to paint an unforeseen possibility through the stroke of His prefect brush. I encourage you during those quiet times in life not to rush back to the chaos but read My Tweets to You, so you can be inspired to change your life. I trust people will be amazed at your transformation and will instinctively ask what made you finally do it? 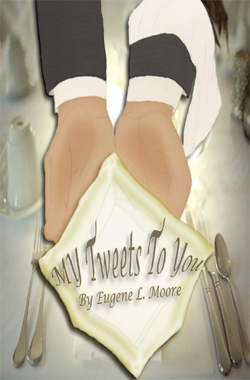 It is my hope you will respond by saying, God spoke plainly to me through a tweet.